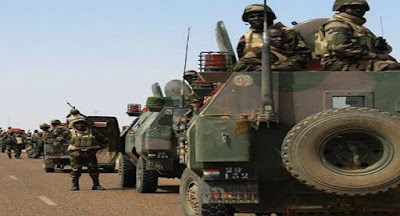 A military commander in the Boko Haram sect, Boukar Kaou, has been captured by a joint military task force from Cameroon and Nigeria during a raid in Madawaya forest in Borno state near the border with Cameroon. A statement released yesterday by a spokesperson of the Cameroonian government, Issa Tchiroma Bakary, states that the sect leader and 5 of his aides were arrested on May 10th and 11th. Over 50 of the sect members were killed during the attack while none of the soldiers in the joint task force died during the attack.